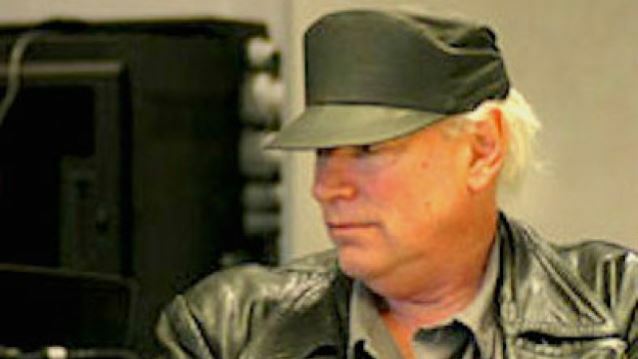 Sandy Pearlman, one of the most important figures in rock history who worked as a full-time artist manager, managing the careers of BLUE ÖYSTER CULT and BLACK SABBATH (1979–1983), has passed away at the age of 72. He reportedly died early Tuesday morning (July 26) in Marin County, California. A cause of death was not specified. Pearlman suffered a cerebral hemorrhage in December that left him "unable to walk, talk or fully comprehend his circumstances," according to a GoFundMe page set up by his friend to help pay medical expenses. Pearlman's condition reportedly took a turn for the worse last week and he had been hospitalized with multiple infections at the time of his passing. Pearlman produced most of BLUE ÖYSTER CULT's albums from the band's self-titled debut in 1972 up until 1988's "Imaginos". Among them was "Agents Of Fortune", which included BÖC's highest-charting and best-known single "Don't Fear the Reaper", a No. 12 hit in 1976 and the song most identified with the band. Pearlman also contributed songwriting to BLUE ÖYSTER CULT. Pearlman was the recipient of 17 gold and platinum records.